Jude is a poignant film directed by Michael Winterbottom based on the controversial novel Jude the Obscure penned by Thomas Hardy (by now you followers might have noticed I’m a big fan) starring Christopher Eccleston as Jude and Kate Winslet as his cousin (gross but legal) and love interest, Sue Brideshead. Jude Fawley is a working class man who dreams of pursuing a university education after a heart-to-heart with a free spirited teacher but his social class and his poverty prevents him from realising his ambition. Before he attends university, he hastily marries Arabella which quickly leads into an unhappy marriage as the wedded couple realise they don’t have matching temperaments. When his wife suddenly leaves him, Jude decides to chase after his rainbow. He becomes bitter after his university applications are rejected because of his lower class status. This is when he meets his cousin Sue, a lively and intelligent young woman who takes delight in defying convention. Jude falls for her but not before making the mistake of introducing his old teacher Mr. Phillotson to Sue; she makes the mistake of accepting his former teacher’s proposal after Jude confesses he’s married despite having no romantic chemistry with her intended husband. This eventually leads to another failed marriage. Finally giving into her romantic urges, Jude and Sue begin to live together as they travel from place to place when he finds any work as a stonemason. In the midst of their travels, they suddenly hear from Arabella who reveals Jude has a son called Juey who seems to be a very despondent sort of child. Juey comes to stay with Jude and Sue who try and entertain him. Meanwhile Sue gives birth to two children of her own. Things come to a head when the couple is denied lodging again after Sue insists on saying she’s unmarried. She explains to Juey that they have to move because there are too many of them. This turns out to have been a fatal error on her part though Juey’s tragic reaction to her reasoning is way too dramatic – perhaps he had depression. After this incident, Sue and Jude become severely depressed and start drifting apart. Meanwhile Sue who had turned her back on God turns her interest back into religion assuming what happened was a punishment from above. She decides to return to Phillotson because it is they who have the true marriage in divine eyes. One year later, she meets Jude as they mourn the circumstances of the past and he tries to win her back. We realise although Sue now lives with her legal husband, her true feelings have always been reserved for Jude. The novel this film is based on was so controversial that writer Thomas Hardy stopped writing books after its publication and turned to poetry instead. Perhaps his wife may have been an influence – she thought the tension between Sue and Jude parallelled her own relationship with Hardy. Luckily, the film version of Jude was made when it was not as bad to defy convention for love. 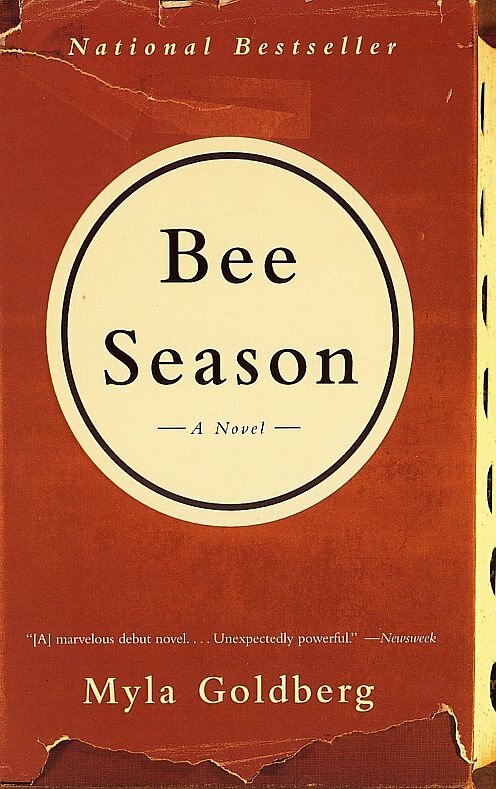 Bee Season by Myla Goldberg is the story of a Jewish family in Pennsylvania. We are introduced to fifth grader Eliza Naumann, the “ordinary” member of a gifted family. She surprises them all by winning the class spelling bee, followed by the district spelling bee and then makes her way into the final rounds of the national spelling bee. Eliza’s new skill distracts her father Saul from the guitar and study sessions he used to have with her older brother Aaron who has aspirations to become a rabbi because he chooses to study for the spelling bee with Eliza instead. Feeling disillusioned with Judaism, Aaron experiments with several religions before deciding to join the Hare Krishna group, as he feels abandoned by his father. Meanwhile her mother Miriam progresses further into a psychosis that has been building up in her since a certain concept was explained to her by Saul and it is discovered that she is a kleptomaniac. It seems that Eliza’s new found talent is contributing to breaking her family apart at the seams. Although Eliza is rapt at the extra attention she was receiving, she feels bad about the deepening distance between herself and her brother and widening chasm between him and her father who once used to be quite close. Different characters choose unorthodox ways to resolve their issues or neglect handling them and it causes problems later on. There are parallels between each family member but each decides to deal with it in their own way instead of confiding in each other. Eliza witnesses these changes observing how the actions of one family member indirectly affect all the others. Each fails to notice how similar they all happen to be but this is obvious to the reader. In the end, Eliza is forced to make a big decision, which will either keep her father’s attention on her or give up her new talent. The terrifying experience she is subject to one night while perusing some mystical books in her father’s study makes her realise the right course to take. Given I expected this book to be about bees that produced honey rather than the spelling kind, it captured my attention when the story started out mild and kept getting darker in its mood. Nevertheless it is an incredible read! 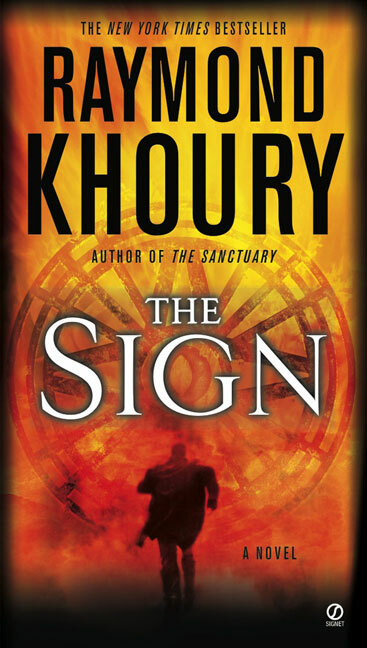 The Sign, the third book written by author Raymond Khoury, combines a tale of politics gone awry and the realities about the impact of global warming into the plot of a thriller. In the modern world depicted by the writer, the joint forces of pollution of the earth and arising political upheaval gives rise to big arguments between those who believe in evolution and those who believe in creationism. The sign which appears over Antarctica, during the collapse of an ice shelf, as a shape-shifting globe and then vanishes are claimed by the latter group as a divine sign from God. The sign itself was able to arouse my curiosity but all the squabbles regarding its “divinity” put me off. Don’t get me wrong – I don’t think this a Bible-thumping book at all but which way you lean politically is likely to effect how you perceive the book. The Sign seemed too technical and science focused for me to like it at first until the thriller part came into play with scientist Danny Sherwood’s escape attempt. This sign’s appearance is witnessed by Gracie Logan, a science reporter who’s at the right place at the right time. She is boarded on a scientific vessel to cover the breakage of the ice shelf. Deciding to follow the story of the sign and investigate what it means, she is led to Egypt after a tip-off from a priest called Brother Ameen. Her crew sees the sign drawn in a Coptic cave inhabited by a Catholic priest called Father Jerome who is widely regarded as a Saint. The catch is that these images were drawn seven months earlier before the appearance of the sign in Antarctica. In regard to Gracie and her TV crew, I feel the descriptions were just too long and the debates on creationism versus evolution were too much on the preachy side to be enjoyable. Those characters became marginally of interest only after the death of a main crew member in Egypt in shady circumstances. Once Boston’s Matt Sherwood, reformed car thief, was added to the equation after learning about the possibility that his brother’s death was a murder from his best friend, the plot becomes more action-packed and the pace begins to accelerate significantly. The short chapters and simple to read prose keeps you turning pages more because you are interested in where the plot will lead rather than because the characters arouse your sympathies. This is a plot-driven novel which doesn’t really care much to endear the characters to you. This is all about the characters going from Point A to Point B and to Point C in pursuit of the ending. Perhaps this is because of the writer’s credentials as a screenwriter – it is a lot easier to imagine this as a blockbuster with a lot of action. This book may have the pace of an adventure written by Dan Brown but because it considers much deeper subject matter such as global warming and environmentalism in almost lecture mode, I feel it’s more of a science fiction about corruption in religion and politics rather than the plot of a religious thriller featuring religious figures from myths and legends of the past. It almost feels like you’re reading something academical when reading bits of the book not involving Matt’s physical encounters with the Bullet as he tries to find out what really happened to Danny Sherwood, his kid brother. This book will bring enjoyment for a fan of quickly moving adventure thrillers if you don’t mind lectures with an agenda sneaking into your fiction. For me, this detracted from having a wholesome reading experience. If a book claims to be a thriller, I have different expectations of content rather than politics and the possible dangers to humanity through global warming. This is not a religion-bashing book either as the final solution to the corrupt plans by the state and the military who are at odds with each other seems open-minded. But while I didn’t dislike this book, I believe it could have been written a lot better.